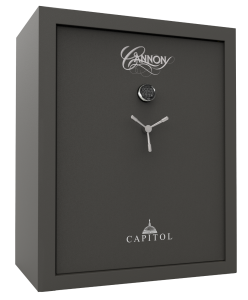 The Cannon Premium Series safes are our flagship models containing ultimate luxury features and security for your most treasured valuables. 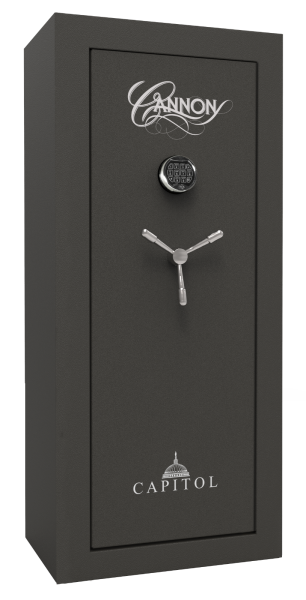 Learn more about our 48-gun safe and 90-minute fire rated gun safe model and its features below. Amenities of our 48-gun safe include premium interior upholstery, an upgraded MOLLE door organizer kit, interior lights, a power supply media box with USB and Ethernet ports, adjustable shelving, and a chrome five-spoke handle. 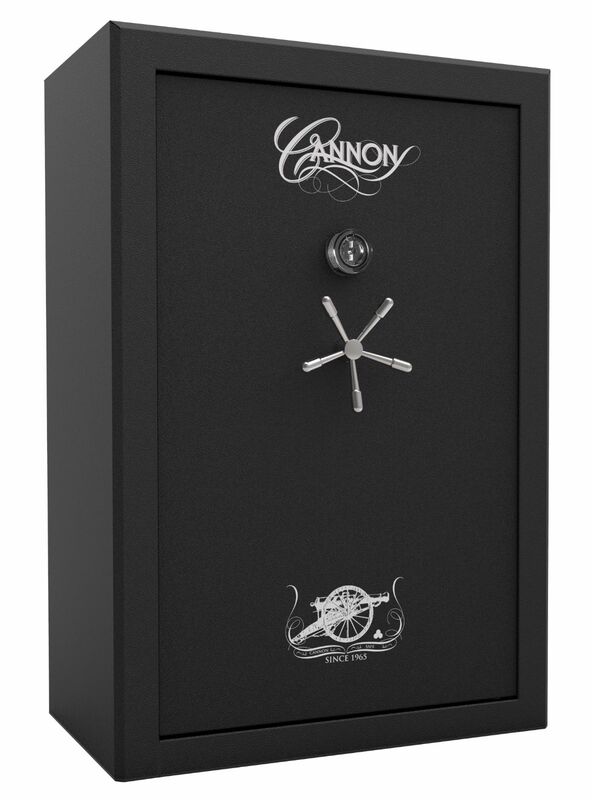 Backed by the Cannon Safe Lifetime Replacement Promise, this UL RSC rated safe is the perfect solution for secure storage and organization of electronics, heirlooms, cash, paperwork, jewelry, firearms, and other valuables. 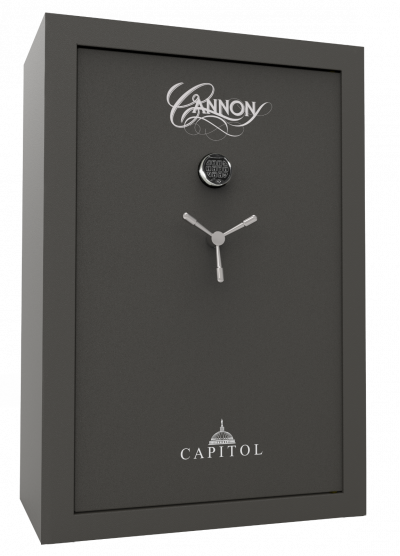 The Premium Series is available in two striking colors: hammertone black and hammertone charcoal. *Interior subject to change without notice. 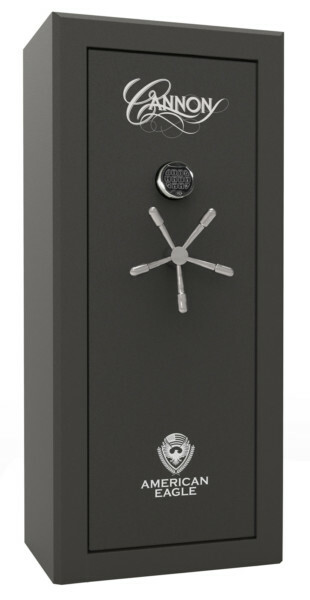 56.172" x 36.022" x 16.925"